'Confidence and Hard-work' is the best medicine to kill the disease called failure. Image Processing and its applications. Challenges in Big Image Processing. Image Processing with hands on with MATLAB and HADOOP. Weighted Finite Automata based Image Processing. Recent Development in Big Image Data Processing. Digital Image Processing of Remotely Sensed Data. U.S.N. Raju, B.Chaitanya, K. Pavan Kumar, P. Nishanth Krishna, Prashant Mishra, "Video Copy Detection in Distributed Environment", IEEE International Conference on Multimedia Big Data, BigMM2016, Taipei, Taiwan, April 20-22, 2016. U.S.N. Raju, Irlanki Sandeep, Nattam Sai Karthik, Rayapudi Siva Praveen, Mayank Singh Sachan, "Weighted Finite Automata Based Image Compression on Hadoop MapReduce Framework", IEEE BigData Congress 2015, NewYork, New York, USA, June 27 - July 2, 2015. U.S.N. Raju, Shibin George, V Sairam Praneeth, Ranjeet Deo, Priyanka Jain, "Content Based Image Retrieval on Hadoop Framework", IEEE BigData Congress 2015, NewYork, New York, USA, June 27 - July 2, 2015. U.S.N.Raju, N.Kishan Varma, Harikrishna Pariveda, Kotte Abhilash Reddy, "Query Object Detection in Big Video Data on Hadoop Framework", IEEE International Conference on Multimedia Big Data, BigMM2015, Beijing, China, April 20-22, 2015. Dr.U.S.N.Raju,Dr.K.V. Kadambari,Dr.P. Venkata Subba Reddy, "A New Method of Assessing the Students using Video Assignments", Sixth IEEE Global Engineering Education Conference(IEEE EDUCON 2015), Tallinn University of Technology, Tallinn, Estonia, 18-20 March 2015.0. U. S. N Raju, Kothuri Sai Kiran, Meena G Kamal, Vinay Nikhil Pabba, Suresh Kanaparthi, "Distributed Processing for Content Based Lecture Video Retrieval on Hadoop Framework", XIII International Conference on Computer Vision and Image Processing, London, UK, 14-15 March 2015. Dr U.S.N. Raju, Kamalakanta Sethi, Sunaina Choudhary and Priyanka Jain, "A New Hybrid Watermarking Technique using DCT and DWT based on Scaling Factor", 1st IEEE International Conference on Futuristic Trends in Computational Analysis and Knowledge Management, Greater Noida, 25-27 February, 2015. Dr. U.S.N. Raju, Shibin George, Irlanki Sandeep and Kothuri Sai Kiran, "Weighted Finite Automata based on Local Patterns for Image Authentication", Ninth IEEE International Conference on Semantic Computing (IEEE ICSC2015), Anaheim, California, USA, 7 - 9 February, 2015. Ambuj K Gautam, V Vasu, Dr. U.S.N. Raju, "Human Machine Interface for controlling a robot using image processing", 12th Global Congress on Manufacturing and Management, GCMM 2014, pp. 291-298, 2014. Dr.U.S.N.Raju, Dr. Uday Bhaskar, "Secured Data Transmission Using Wavelet Based Steganography and Cryptography Using Different DES Methods", Journal of Wavelet Theory and Applications (JWTA), Volume 7 Number 1, pp. 19 -29, 2013. Dr. Uday Bhaskar, Dr.U.S.N.Raju, Dr P. Govindarajulu, Dr.B.V. Ramana Reddy, "Aspects of Content, Context and Adaption Modeling in Mobile Learning Application Design", International Journal of Interactive Mobile Technologies, Vol.7, Issue 2, pp. 29-37, April 2013. Dr U S N Raju,V. V. Reddy,B SurekhaB V Ramana Reddy, "Secured Data Transmission using Wavelet based Steganography and Cryptography", International Conference, GIET, Rajahmundry, accepted, 30th - 31st March, 2012. Vijaya Lakshmi D,Dr.U.S.N. Raju,P.P.S. Naik, Uday Kumar V, "Wavelet based Digital Watermarking with DES encrypted text", National workshop on Wavelets, Multiresolution and Multifractal Analysis in Earth, Ocean and Atmospheric Sciences-current Trends, IIT Bombay, Feb 29th -2nd March,2012. Dr U.S.N. RajuM. Radha,B. Aruna Chaitanya, "Image Compression using Non-Linear Wavelet Transform: Binary Wavelet Transform", International Conference on Recent Trends in Engineering, Management & Computer Applications, Kanchipuram, Tamilnadu, India, 30th- 31st May, 2011. K. Nagaraju,A. Harika,Dr U.S.N. Raju, "Wavelet based Soil Texture Classification using High Order Local Patterns", International Conference on Recent Trends in Engineering, Management & Computer Applications, Kanchipuram, Tamilnadu, India, 30th- 31st May, 2011. P. Harini,Dr B.Eswara Reddy,Dr U.S.N. Raju,Dr V Vijaya Kumar, "A Novel Scheme for Congestion Control in Hierarchical Mobile IPv6 Networks", IJCSNS International Journal of Computer Science and Network Security, VOL.11 No.2, pp. 98-104 February 2011. U.S.N. Raju, A Sridhar Kumar,B MaheshB.Eswara Reddy, "Texture Classification With High Order Local Pattern Descriptor: Local Derivative Pattern", Global Journal of Computer Science and Technology, Vol. 10 Issue 8, pp. 72-76, 2010. U.S.N. Raju M.S. Sandeep ,C. Lokesh , "Wavelet Based Edge Detection for Bone Age Assessment", National Conference, Chennai, 2010. A. Suresh, U.S.N. Raju V. Vijaya Kumar, "An Innovative Technique of Stone Texture Classification based on Primitive Pattern Units", International Journal of Signal and Image Processing, Hyper Science publications, Vol. 1, Issue 1, pp. 40-45, 2010. M Chandra Mohan,V Vijaya Kumar ,U. S. N. Raju, "New Face Recognition Method Based on Texture Features using Linear Wavelet Transforms",International Journal of Computer Science and Network Security, Vol. 9, No. 12, pp. 223-230, 2009. V Vijaya Kumar, U. S. N. Raju, K Chandra Sekaran, V V Krishna, "Employing Long Linear Patterns for Texture Classification relying on Wavelets",International Journal on Graphics, Vision and Image Processing, Vol. 8, Issue V, pp. 13-21, 2009. U. S. N. Raju,V Vijaya Kumar,V V Krishna, A Nagaraja Rao, "Statistical Texture Primitive Extraction Using Different Wavelet Transforms",International Journal of Mathematical Science and Engineering Applications, Vol. 2, No. IV, pp. 273-284, 2008. V. Vijaya Kumar,U. S. N. Raju, P.Premchand, A. Suresh, "Skeleton Primitive Extraction Method on Textures with Different Nonlinear Wavelets",Journal of Computer Science, 4(7): pp. 609-611, 2008. U. S. N. Raju,A Srikrihna,V Vijaya Kumar,A Suresh, "Extraction of Skeleton Primitives on Wavelets", Journal of Theoretical and Applied Information Technology, Vol. 4, No.11, pp. 1065-1074, 2008. U. S. N. Raju, B.Eswara Reddy,V Vijaya Kumar, B Sujatha, "Texture Classification Based on Extraction of Skeleton Primitives using Wavelets", Information Technology Journal, Vol.7, No.6, pp. 883-889, 2008. V Vijaya Kumar, U. S. N. Raju, M. Radhika Mani,A.L Narasimha Rao, "Wavelet based Texture Segmentation methods based on Combinatorial of Morphological and Statistical Operations", International Journal of Computer Science and Network Security, Vol. 8, No.8, pp.176-181, 2008. V Vijaya Kumar, U. S. N. Raju, K Chandra Sekaran, V V Krishna, "A New Method of Texture Classification using various Wavelet Transforms based on Primitive Patterns", International Journal on Graphics, Vision and Image Processing, Vol. 8, Issue 2, pp. 21-27, 2008. V Vijaya Kumar, B.Eswara Reddy, U. S. N. Raju,A. Suresh, "Classification of Textures by Avoiding Complex Patterns", Journal of Computer Science, 4(2) pp. 133-138, 2008. U. S. N. Raju,V. Vijaya Kumar, A.Suresh M.Radhika Mani, "Texture Description using Different Wavelet Transforms based on Statistical Parameters",2nd WSEAS Internl. Symposium, Wavelets Theory and Applications in Signal Processing, Istanbul, Turkey, 27th -29th pp. 174-178, 2008. V Vijaya Kumar, B.Eswara Reddy, A.Nagaraja Rao U. S. N. Raju, "Texture Segmentation Methods Based on Combinatorial of Morphological and Statistical Operations", Journal of Multimedia, Vol.3, No.1, pp. 36-40, 2008. V.Vijaya Kumar, A. Nagaraja Rao, U. S. N. Raju,B.Eswara Reddy, "Pipeline Implementation of New Segmentation Based on Cognate Neighborhood Approach", IAENG International Journal of Computer Science, Vol. 35, Issue 1, pp. 1-6, 2008. A. Suresh, U. S. N. Raju, A. Nagaraja Rao V Vijaya Kumar, "An Innovative Technique of Marble Texture Description Based on Grain Components", Intl. Journal of Computer Science and Network Security, Vol.8, No.2, pp. 122-126, 2008. U. S. N. Raju, D. VijayaLakshmi B. Sujatha, "Applications of wavelets in data mining", National conference at Guddalaveru Engg. College, 21st Jan-2008. V Vijaya Kumar, B.Eswara Reddy, U. S. N. Raju,K.C. Sekharan, "An Innovative Technique of Texture Classification and Comparison Based on Long Linear Patterns", Journal of Computer Science, Vol. 3, No.8, pp. 633-638, 2007. V. Vijaya Kumar, B. Eswara Reddy, U. S. N. Raju, "A Measure of pattern trends on various types of preprocessed textures", International Journal of Computer Science and Network Security, Vol.7, No.8, pp. 253-257, 2007. A. Nagaraja Rao,U. S. N. Raju,V Vijaya Kumar, "Texture segmentation using wavelet decomposition", Proceedings of J-Talent, National Conference, Jyothishmathi College of Engineering and Tech., Hyderabad, pp. 28, 2nd &3rd Feb-2007. U. S. N. Raju,B. Renuka Devi,V Vijaya Kumar, "Edge detection using Wavelet transforms", Proceedings of J-Talent, National Conference, Jyothishmathi College of Engg. and Technology, Hyderabad, pp. 28, 2nd and 3rd Feb-2007. U. S. N. Raju,V Vijaya Kumar,A. Gnaeswar Rao, "An Innovative method for the reconstruction of images after Gaussian pyramidal decomposition", Proceedings of J-Talent, National Conference, Jyothishmathi College of Engineering and Technology, Hyderabad, pp. 28, 2nd and 3rd Feb-2007. U. S. N. Raju,V V Krishna, "Analysis of malaria infected blood cells using morphology", at Techno- carnival, National Conference, organized by Royal Institute of Technology and Science, Hyderabad, 3rd and 4th Feb-2006. V V Krihana,V Vijaya Kumar,U. S. N. Raju,B Saritha, "Classification of textures based on distance function of linear patterns using mathematical morphology", ICEM-2005, International Conference Conducted by JNTU, Hyderabad, 28th -30th October-2005. V V Krishna,U. 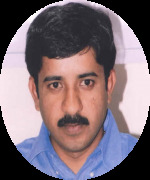 S. N. Raju, "A physical model-based approach for detection of sky in photographic images", National level Symposium; 2005, Vignan Engineering college, Hyderabad, 12th March-2005. A. Nagaraja Rao,U. S. N. Raju,G. Leela Rani,V Srikanth, "A new texture segmentation method using with direction measures", Proceedings of NVGIP-05, National Conference, JNNCE, Shimoga, Karnataka, pp. 107, 2nd and 3rd March-2005. Big Image Data Processing with HADOOP. Recent Development in Big Data Image Processing.